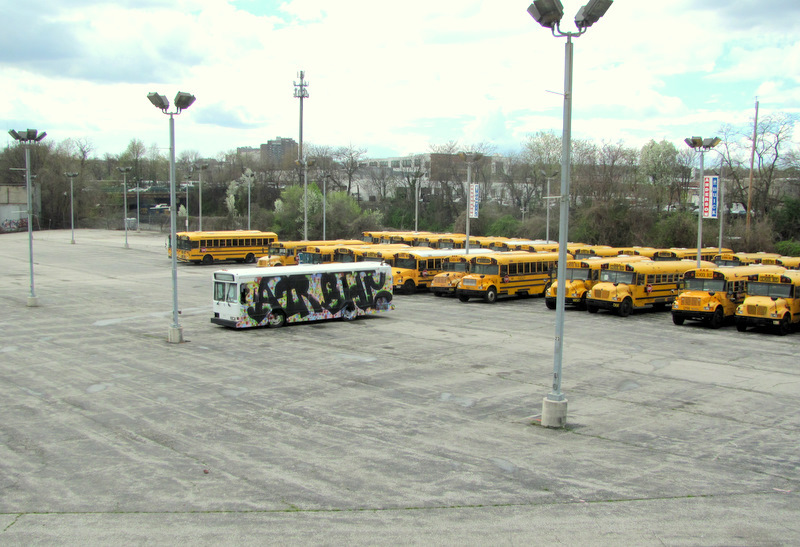 Above: The site long proposed for a Walmart is now a storage site for a bus company. It’s back to the drawing board for the 25th Street Station project. 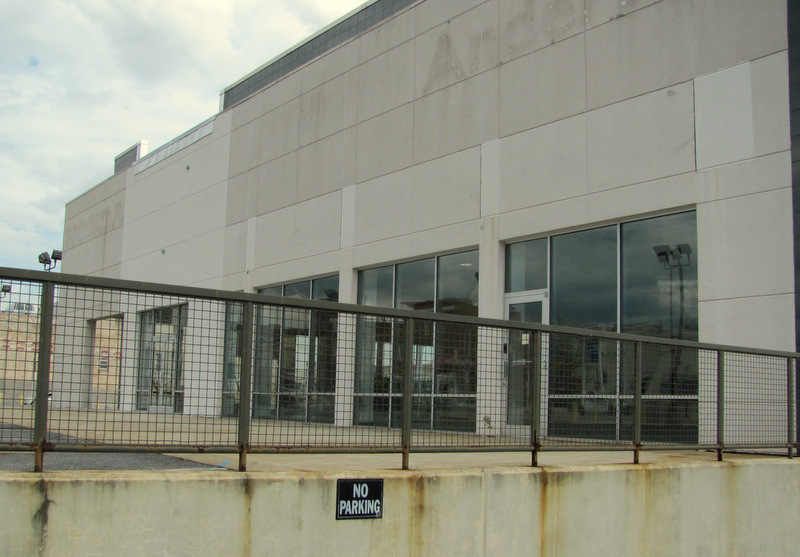 Nearly five years after the City Council approved a planned unit development (PUD) for a Walmart-anchored shopping center in Remington, the site’s new owners have signed an agreement not to pursue the controversial “big-box” plan. 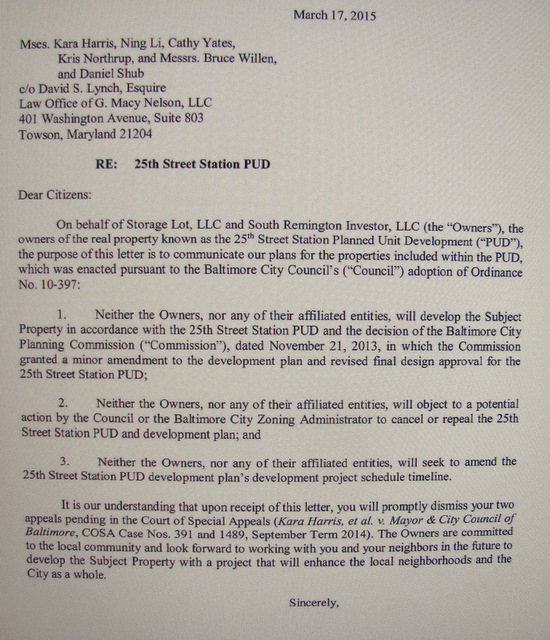 “Neither the owners nor any of their affiliated entities will develop the subject property in accordance with the 25th Street Station PUD,” reads an agreement signed by Thibault Manekin, representing Seawall Development Co., and six area residents. Manekin further says that Seawall will not object if the City Council or Board of Municipal Zoning and Appeals “cancels or repeals the 25th Street Station PUD and development plan,” thereby starting the project’s approval process from scratch. In return for Seawall’s pledge to “work with you and your neighbors in the future to develop the subject property,” the residents have agreed to drop a lawsuit, pending before the Maryland Court of Special Appeals, objecting to a modification of the PUD plan by the city Planning Commission. “We see this as a victory for due process and smart development in Baltimore,” Bruce Willen, one of the six plaintiffs, said yesterday. In its discussions with the plaintiffs and the Old Goucher Community Association, Seawall has not specifically promised to lure small businesses and non-profits to the property. When Seawall purchased the property from the Anderson Automotive Group last fall, it said it did not plan to turn its attention to the 11-acre site until after it finishes Remington Row, which recently broke ground. This means that the 25th Street property could lie fallow for several years. Manekin, who describes Seawall as “a socially conscious real estate development company,” could not be reached for comment. Seawall’s phone mailbox was full. The 25th Street property has several components. Most visible to passersby is the former General Motors dealership on 25th Street between Howard Street and Maryland Avenue, which has been leased back to Anderson Auto as a body shop. The low lands west of Howard Street along Huntingdon Avenue – the planned site for the Super Walmart – is used for storage by the City Wide Bus Co.
A used-car showroom at 25th and Howard is vacant. 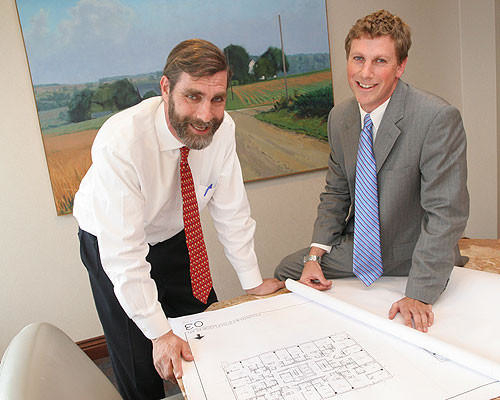 The original developer, R. Richard “Rick” Walker of WV Urban Developments, proposed 25th Street Station in 2010. The mixed-use development, with new housing east of Howard Street and Walmart and Lowe’s superstores to the west, was dogged by controversy from the start. 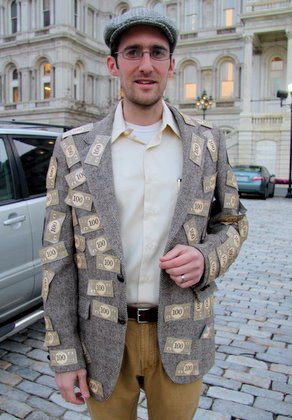 Some people praised Walker as an urban visionary who would bring modern retailing and hundreds of permanent jobs to Baltimore, while other vehemently objected to his plan for “big-box” stores, saying they did not pay adequate wages and could drive out local businesses. After months of protests at City Hall and online petitioning, the critics lost as the City Council unanimously approved the PUD on November 22, 2010. But within a year it was becoming clear that Walker was having problems getting his $65 million project off the ground. The developer and his attorney, Jon M. Laria, blamed “obstructionist” lawsuits by local residents for the delays. The Planning Commission’s decision in November 2013 to approve the modified plan as a “minor” amendment to the PUD sparked the lawsuit by Willen and five other residents – Kara Harris, Ning Li, Cathy Yates, Kris Northrup and Daniel Shub. Last year, after Walker missed a key deadline to complete a purchase agreement with Walmart, Bruce Mortimer, president of Anderson Auto, plugged the plug. He reached an understanding with Seawall that forced Walker out of the picture. Companies controlled by Seawall, including Storage Lot LLC and South Remington Investor, purchased the Anderson site last September. Walker, who claims to have spent $5 million fighting lawsuits and pursuing the project, has disappeared from the local development scene.